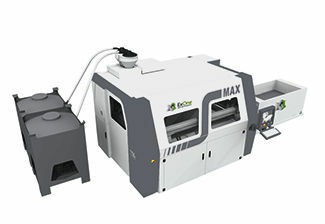 The established 3D printer for large cores and molds. The S-Max™ system, designed for sand casting foundries, prints complex and accurate sand cores and molds directly from CAD data, eliminating the need for a physical pattern. Furan binder system requires no curing and guarantees cores and molds are ready for immediate casting. The ability to cast in hours without hard tooling improves the entire casting process chain. The ExOne® 3D printing process utilizes Binder Jetting technology to economically provide complex molds and cores for manufacturers of components in automotive, aerospace and energy industries. The process is well-suited for production of prototypes, spares and replacement parts.